Canada is weighing a new calculation method that takes into account the full cost of a vehicle. WASHINGTON — NAFTA negotiations are approaching a new phase of talks after early rounds marked by acrimony, inflexibility and finger-pointing. It's the search for solutions. Negotiators gathered at an informal session in Washington this week are considering ways to work around a main impasse of the talks so far, a U.S. demand on auto parts deemed unfeasible by Canada, Mexico and the industry. The other countries intend to ask the U.S. whether there might be a way to rework the proposal in a manner palatable to everyone, while still achieving America's goal of bolstering domestic auto production. Time constraints are intensifying pressure to find solutions: Rounds are currently scheduled only into March, Mexico and the U.S. have national elections thereafter and President Donald Trump has threatened to start the withdrawal process to get a quick deal. One Canadian official said that a spirit of problem-solving has permeated this informal round. "The mood has lightened a bit since the Mexico round [in November],’’ he said. "It was a bit acrimonious." The main goal this week was to chip away at less-controversial chapters. But the Canadian side has some ideas for a new path forward on automobiles, a key priority for the Trump administration, elected on a promise to strengthen manufacturing. The Canadian side thinks that goal can be achieved by moving away from the traditional method of calculating the content of a car. For instance, the current NAFTA says that a car's pieces must be 62.5 per cent North American to avoid a tariff and the United States has called for a ramp-up to 85 per cent, plus a U.S.-specific 50 per cent requirement, with virtually no adjustment phase-in period, to the dismay of other parties. But what if the formula were completely overhauled? Canada is weighing a new calculation method that takes into account the full cost of a vehicle, including the most valuable components of modern cars — which, increasingly, are new digital technologies, light-weight composite materials and other intellectual property, for which the United States is a world-leading hub. "Evaluating the entire value ... rather than some of the components that are currently spelled out. [Things like] digital inputs," is how one official explained it. 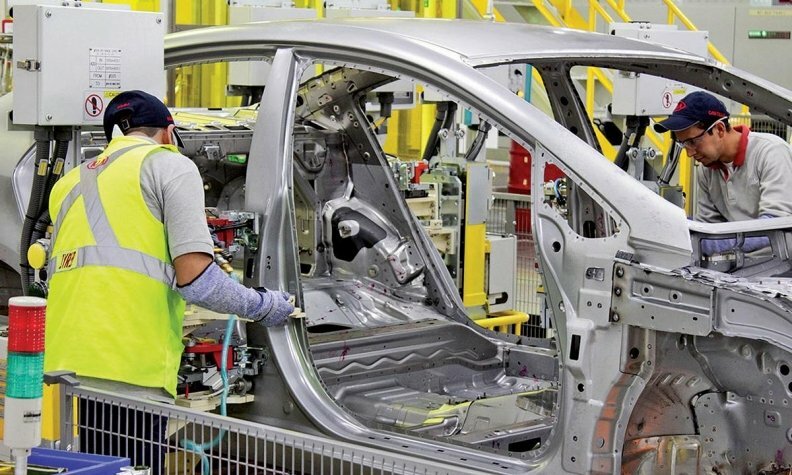 "It's important to recognize that what goes into a car has changed since NAFTA was signed." Canada has not yet presented the proposal to the United States, its side said late Thursday. The context for the idea is outlined in a recent paper by the government-and-industry-funded Center for Automotive Research in Michigan, which describes how a technological revolution is already underway, spurred by autonomous cars; new fuel-efficiency standards; improved safety and computer connectivity. It says the accelerated rate of innovation will last at least three decades. It estimates that while mild steel and high-strength alloys made up 80 per cent of a car's materials in 2010, that fell to barely 60 per cent in 2015; will fall to barely 30 per cent in 2020; just over 20 per cent in 2030; and less than 10 per cent in 2040. A Canadian auto-parts representative said these changes are partly driven by tough new international fuel standards. Flavio Volpe said companies are spending hundreds of billions of dollars to double fuel efficiency through everything from lightweight materials to internal components: "Start-stop technology. Hybrid technology. Batteries, electric, fuel cell... Material sciences." He said the United States is currently a hotbed of these technologies. And he said it might make sense to design incentives to keep production of emerging technology on this continent, so that the research and production are clustered here. He called the tracing requirements in NAFTA a tool designed for the cars of 1994. "I think we have to have a fresh look at the way that works," Volpe said. There might not be much time. Trump has repeatedly said he might start withdrawing from NAFTA to press the other countries into making concessions; Mexico has said that, if that happens, it would leave the negotiating table and some decisions will need to be made by March, when the current schedule of talks ends. That places extra pressure on countries to make progress at the January round scheduled in Montreal. There are other small, emerging slivers of potential compromise: insiders familiar with U.S. negotiating positions said they anticipate room for negotiation on the controversial idea of a five-year review clause. The part deemed a non-starter by Canada and Mexico is the idea that NAFTA should end in five years, unless everyone extends it. Both Mexico and Canada have said they're willing to live with a less-aggressive review clause.